World of Warcraft Swords There are 5 products. Sword King Lich King, 120 cms. Sword of Warcraft Lich King. Made of carbon steel sheet and Zamak. It includes wall hanging bracket. 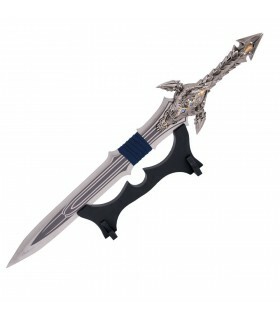 Sword King King Llane of Warcraft, 115 cms. Sword King Llane of Warcraft. Made of carbon steel sheet and Zamak. It includes wall hanging bracket. 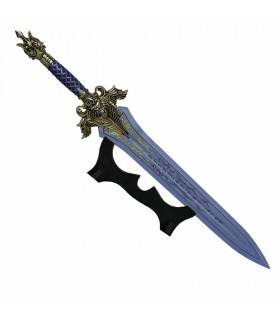 Sword Anduin Lothar's Warcraft, 105 cms. Anduin Lothar's sword. Made of carbon steel sheet and Zamak. It includes wall hanging bracket. 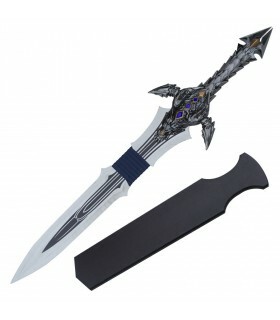 Sword King King Llane of Warcraft, 75 cms. 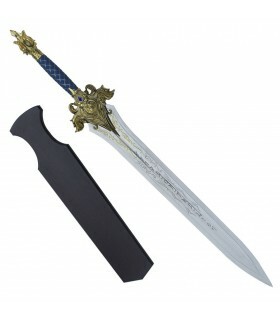 King King Llane de Warcraft Sword, 75 cms.